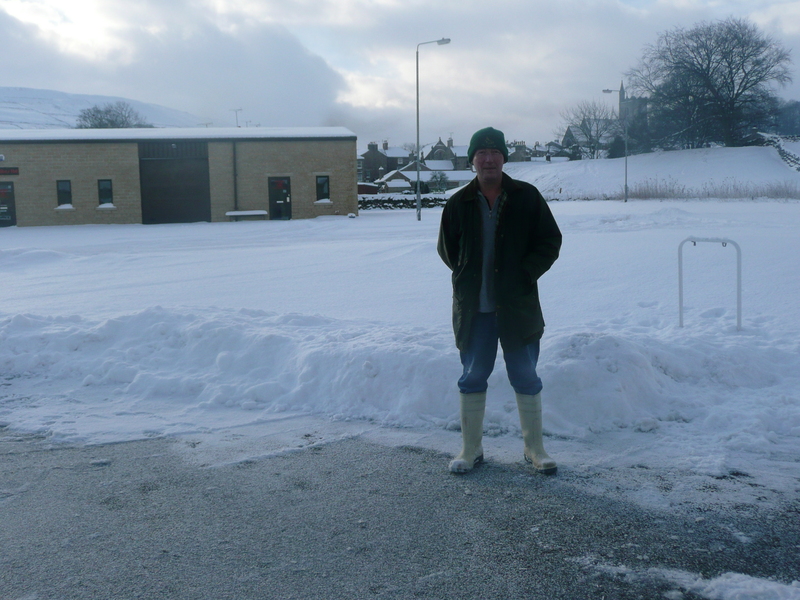 We had great fun at work, keeping the snow at bay. For the past six weeks or so, the first thing Stu and I would do was to shovel snow away so that we could maintain a clear way in for Mark who delivers our goat’s milk twice a week and Thomas who brings in our weekly cow’s milk delivery. We use a fork lift to transport the milk which does not like ice and snow, it tends to slip and slide in a most unhelpful sort of way, so it is doubly important to try and keep a wide path clear of snow from one set of up and over doors to the next. The picture above shows Stu admiring our handiwork. Hats off to both Mark and Thomas, because despite some pretty poor weather conditions, they never missed a delivery.